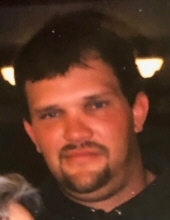 David Scott Guilliams, 46, of Bassett, VA passed away on Thursday, January 24, 2019. He was born on May 1, 1972 to Rhonda Kaye Cannaday Hatchett who survives and the late George Daniel Guilliams. Mr. Guilliams worked as a brick mason and was self-employed. In addition to his mother, he is survived by his daughters, Ciera Kaye Guilliams of the residence and Angel L. Simmons of Preston; step-father, Thomas Henry Hatchett; sisters, Sara Morgan of Woolwine, VA, Misty Comer of Eden, NC, Tiffany Irvin of Yanceyville, NC, and Molly Hatchett of Lynchburg, VA; brothers, Jason Morgan of Charlottesville, VA and Chris Morgan of Charlottesville, VA; and granddaughter, Natalee Faith Young of Preston. A memorial service will be held at 2:00 p.m. on Sunday, January 27, 2019 at Fort Trial Christian Church with Minister Milford Witt and Minister Lee Ashley officiating. Visitation will be from 7:00 p.m. to 9:00 p.m. on Saturday, January 26, 2019 also at the church, and other times at the family residence at 2937 Oak Level Road, Bassett, VA 24055. In lieu of flowers memorial donations may be made to the Oak Level Ruritan Club, C/o Norvaline Atkins, Bassett, VA 24055 or to the Bassett Fire Department, P.O. Box 469, Bassett, VA 24055. To send flowers or a remembrance gift to the family of David Scott Guilliams, please visit our Tribute Store. "Email Address" would like to share the life celebration of David Scott Guilliams. Click on the "link" to go to share a favorite memory or leave a condolence message for the family.